If you didn't make it to the Consumer Electronics Show in January, don't fear! Event Industry News did a great overview of all the tech trends you shouldn't miss. Sounds like Artificial Intelligence was a big one - we agree. In fact, we talked about that as an evolving trend on a webinar with BizBash last month. You can catch the recording here. Interesting note: Apple made a surprise appearance with a billboard that read: "What happens on your iPhone, stays on your iPhone". A smart nod to the slogan for Vegas, where CES took place. I wonder if they have some regrets given the news last week about the bug in FaceTime affecting privacy? Staying on the theme of trends, Dahlia + Agency shared this post from Connect Corporate. Dahlia El Gazzar is an event tech speaker and educator and part of the Women in Event Tech team. If you aren't already, you should follow both. View the PSAV press release here. 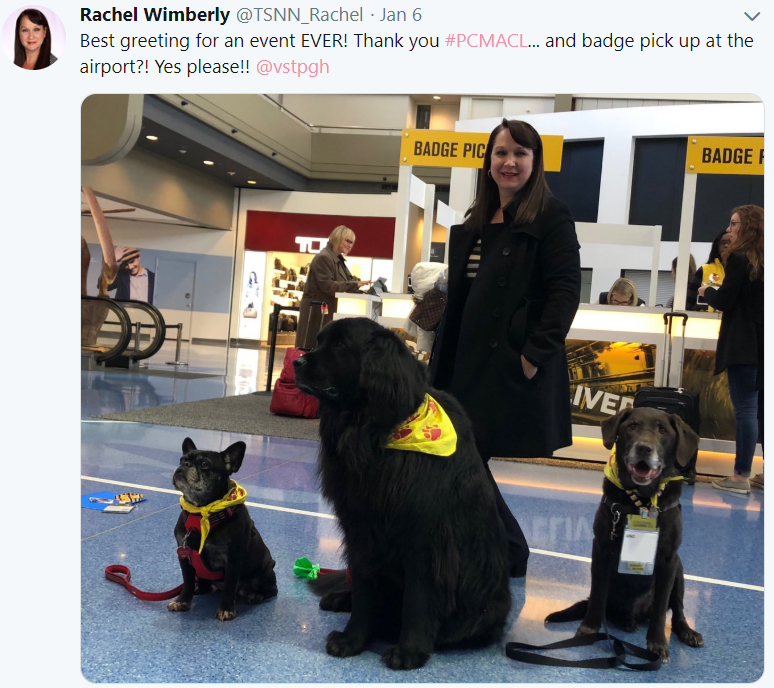 Ok, we are serious suckers for a cute pup - so most adorable post of the month goes to Rachel Wimberly, president of Tarsus Media - overseeing TSNN.com and CorporateEventNews.com. What a convenient, efficient and fun onsite registration process. Are you an AV expert? Probably not but luckily Will Curran from Endless Events is. His team put together this nifty quiz so you can test your knowledge. You will have to supply your email address at the end -but you should sign up to be on their email list. We are, and it's chock full of helpful information. Be sure to also check out #eventicons, run by Will and team. It's a weekly podcast that features some of the top minds in the events industry. 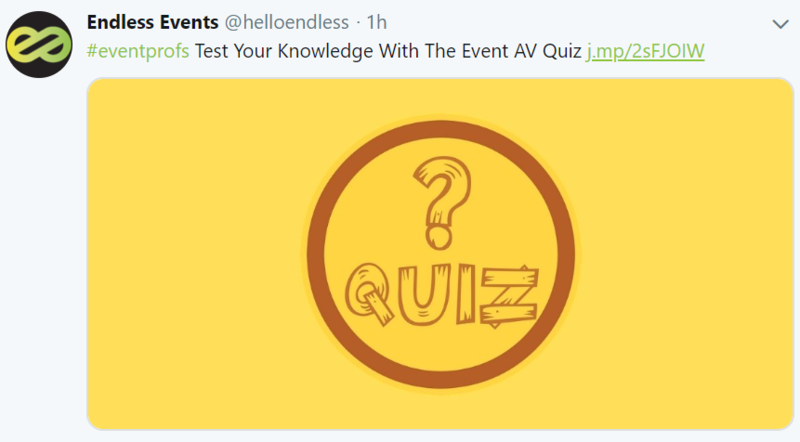 Take the Endless Events AV quiz here. 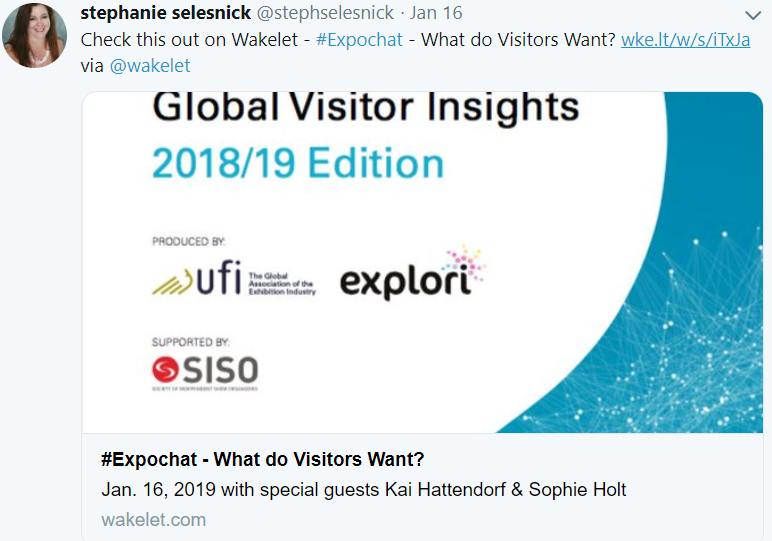 Stephanie Selesnick hosted a great tweet chat on What Tradeshow Attendees Want, focusing on the results of the largest ever global visitors insights study, released by UFI and Explori. Hosted by TSNN, #expochat is a Twitter-based conversation on topics related to the trade show industry. Be a part of it - join #expochat on Wednesdays at 1pm ET. Christy Lamagna is an author, speaker and event strategist. 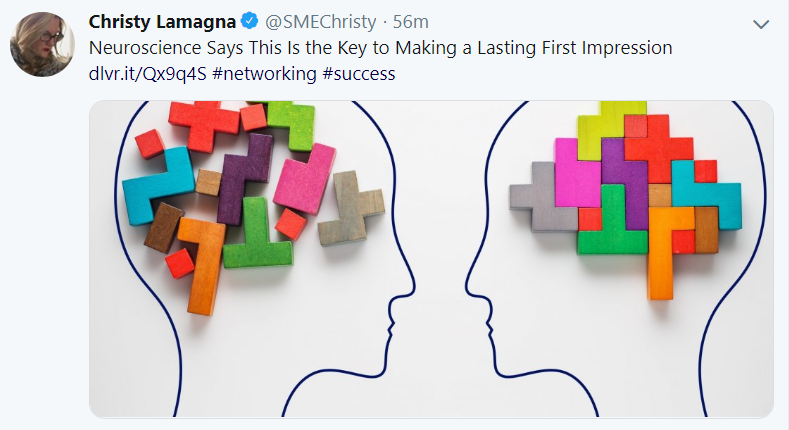 As such, her feed has valuable advise for meeting planners and she does a great job finding articles focusing on self learnng and leadership. Read the article she shared here. Nicole Peck is their Executive VP, you may remember her as the co-host from our webinar back in December - Event Tech Trends: What We Learned And How to Evolve in 2019 (catch the recording here). 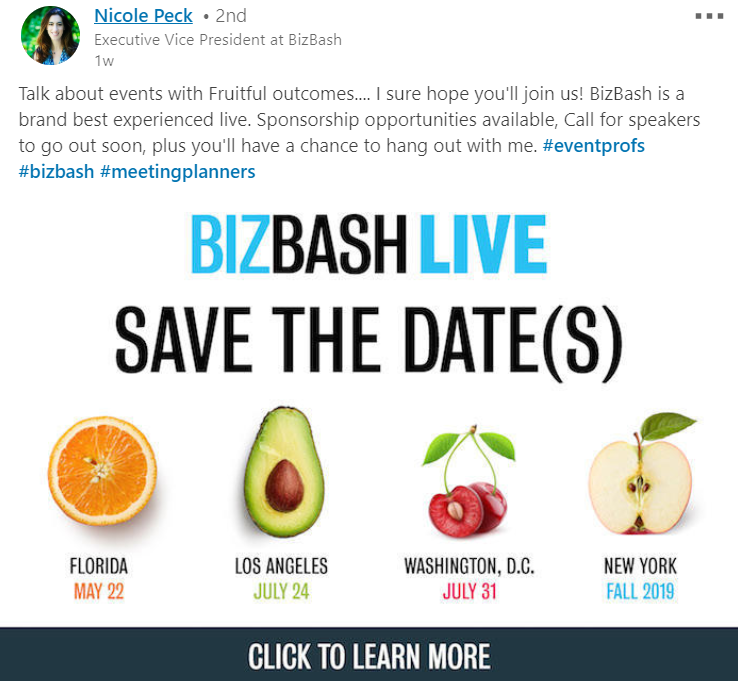 Learn more about BizBash Live here. 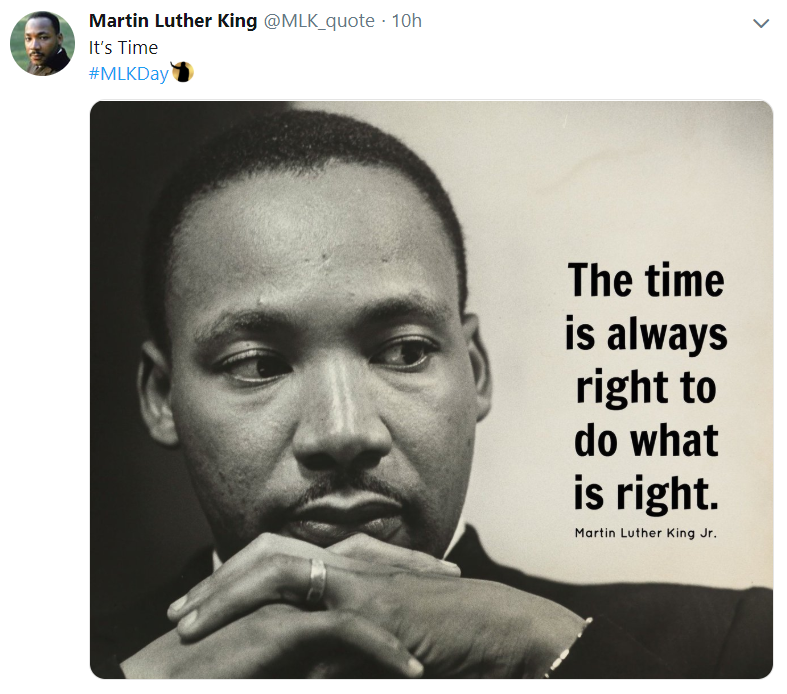 January 21st was Martin Luther King Jr. Day. His speeches and talks were always awe-inspiring. This is one of our favorite quotes to think about, as we remember this amazing man.